Rony Jean Gilles gives a ride to Madame Eltide, Head of Kitchen for Kay Angel , and Fednel the maintenance guy who will share their rides back and forth to work - 5 days a week. 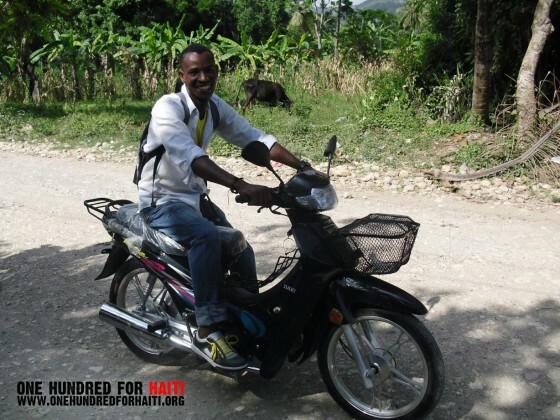 This week we gave a job & hope to Rony Jean Gilles of Haiti. What will you help us do NEXT week? 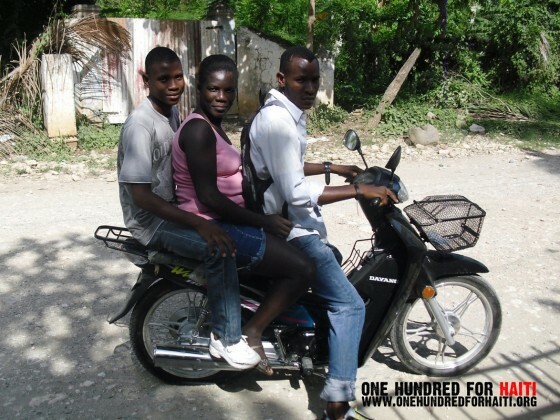 Rony, Madame Eltide & Fednel share a ride on a typical road in the town of Jacmel, Haiti. The new moto was purchased with donations from people just like you. Join us. 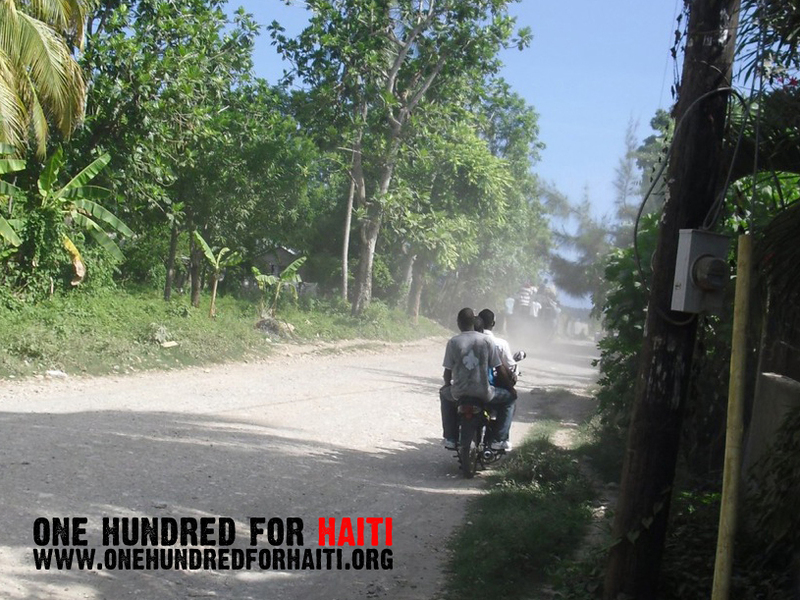 One Hundred For Haiti, thanks to combining three donations from people just like you, was able to launch Moto Logistics last week at the Kay Angel Orphanage in Jacmel Haiti. 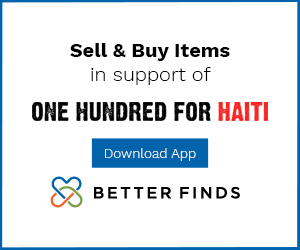 We met Lia Vandedonk at Kay Angel immediately after the earthquake in Haiti and was astounded by her devotion to the children she serves – all children who have been infected with or affected by HIV and AIDS. Kay Angel will use their moto for transporting workers to the clinic by day, thus saving the cost of hiring outside transportation. They will also be transporting supplies and the orphans themselves. By night, the income from the use of the moto as a private moto taxi will bring in much needed income AND will create a job for the driver! All in all its a win / win / win situation, which is the exact kind that we like best. Kay Angel Orphanage provides a home and education for children infected or affected by HIV / AIDS. Individual donations purchased a motorcycle which will serve to transport supplies, orphans, and workers to and from the orphanage. Three primary donors made this possible along with many who gave what they could to support those three. 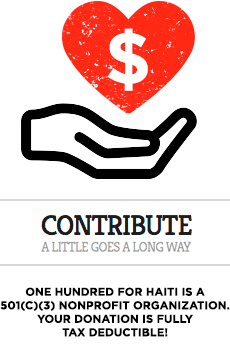 It takes us less than $1000 to launch Moto Logistics…why are you not donating or getting your work to get involved with donating?